Every man needs a man card once in a while; combine it with a bottle opener and he will be ready for any occasion. Made of durable stainless steel, this convenient bottle opener will be able to handle any bottle. 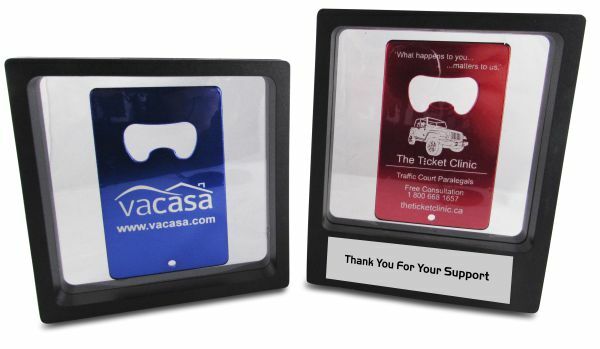 Perfectly sized for wallets, it can also attach to key rings. 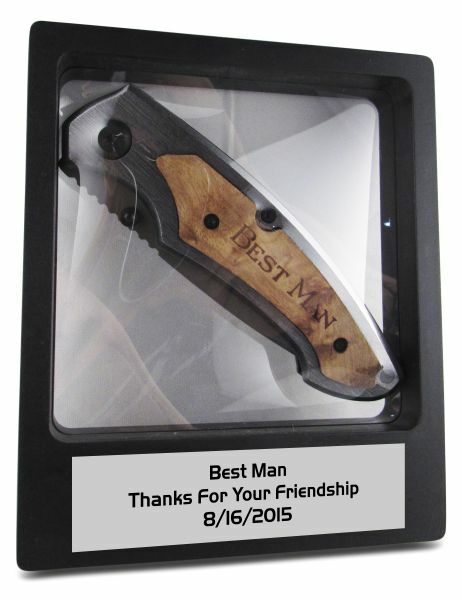 Personalize his man card for a one-of-a-kind gift that will be displayed with pride. 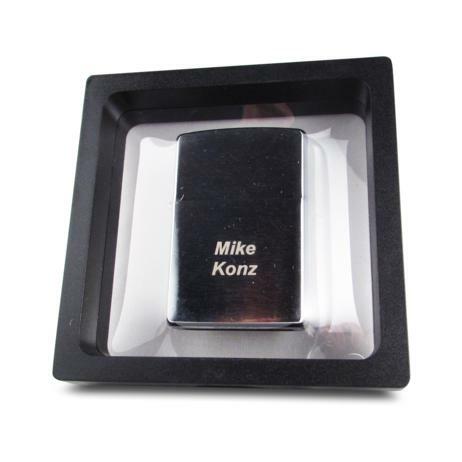 Laser engraving and stainless steel last forever, so he'll have plenty of time to enjoy and show off this fun and useful tribute. Raise a toast to those manly men out there! Enter the Names you want engraved. Separate multiple names with commas. Your engraved gift item sits inside the frame of the case - gives the illussion of floating as you present your gift to the recipient!